What is the difference between a Apnea suit and a regular wetsuit really ??? I can tell you from first hand experience that a suit specifically designed for freediving is a crucial key to a comfortable dive. I have 2 Picasso wetsuits - an older 7mm Wine colored Camu and a 3mm Apnos - they are both so comfortable, that I will never buy a standard wetsuit again. I heard that the Picasso's are warm, really warm. Which thickness should i go for ? 3,5,7 mm ?? I was personally thinking bout 7, but perhaps that will be to warm. Any suggestions ? I typically dive in water temperatures that range between 44 - 54 degrees F. I find that a 7mm suit is perfect for these conditions. I think a 5mm BioTermic would do just as well, but since I can't afford one yet, I am still diving with my 7mm Camu. Go with the 7mm suit - you won't be sorry. a take on Homer Simpson: :"mmmm, freediving gear... sacrilicious..."
You are from Sweden?  Have you tried the Swedish yahoo-group for free divers? There is alot of experience among the people there and I am sure they can help you choosing a good suit, and give you opinions on where to get it. Actually im a member of it. Ill write a question right a way. Thx Korp!